A church boasted some old pianos beyond salvage to our local sculptor to scrap the iron combs. 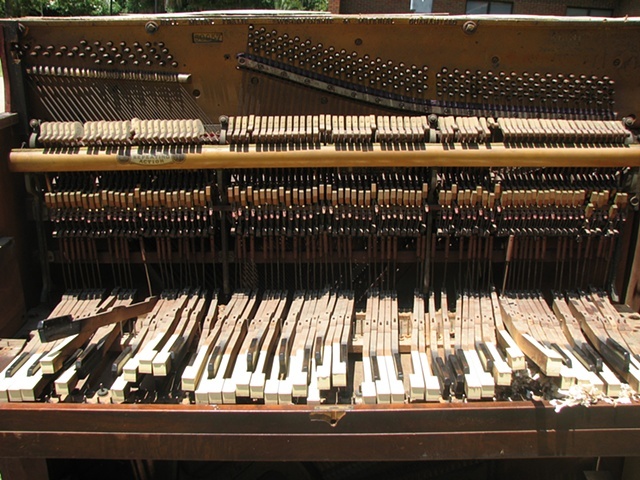 I enjoyed snapping photos of the dismantled pianos. These are such beautiful and complex machines.